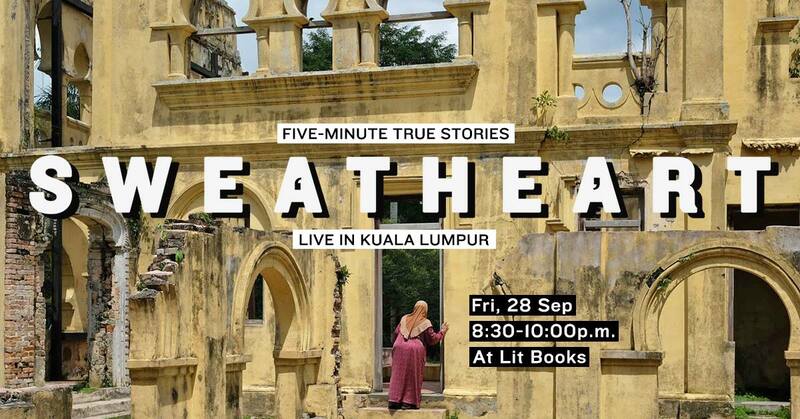 Sweatheart is a new live storytelling night based in Kuala Lumpur, built on true five-minute stories told by both seasoned and first-time storytellers. Our first event is set for Friday, September 28, 2018 at Lit Books (P-01-11 Tropicana Avenue, 12 Persiaran Tropicana, 47410 Petaling Jaya), 8:30–10:00 p.m. Entry is RM20. You can pick at Elaine and Min Hun’s bookshelves, and there’s also a tiny bar serving wine and coffee.